If you are looking for a Top Dentist in the Manalapan, NJ, Englishtown, NJ, Morganville, NJ, Marlboro, NJ, Freehold, NJ, Old Bridge, NJ areas, we welcome you to our prosthodontic practice. Welcome to the new year 2013! 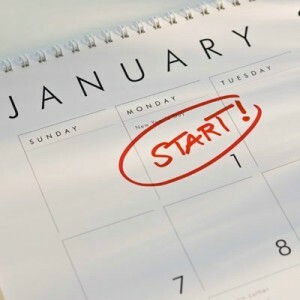 January is the time for new year's resolutions – making goals to improve life and health. Eating healthy, hitting the gym or reading more books are popular ones, but it's time to take a fresh look at your oral health! This year, make a proactive change to your oral health. It is important to realize that the longer a person waits to take care of dental treatment, the worse a problem can become! Missing teeth, chipped or broken restorations, bruxism, or jaw soreness are all conditions which can affect your bodily health in a serious way if not treated right away. The connection between the mouth and the rest of the body is significant. Do not procrastinate – it is in your best interest this year to see your dental professional before things get worse. Hygiene is also important. A clean mouth is not just pretty for your social life and professional appearance, but important for your bodily health! Those who want to improve the health of mouth and body should consider the simple act of regularly brushing and flossing their teeth! Tartar can be tricky to remove without professional help, so the best defense is proactive care. This is why regular cleanings with your dental professional are so important. The American Dental Association (ADA) has stressed the importance of maintaining good dental health for adults and children of all ages, not just for healthy gums and teeth, but to ensure good overall health. Family values are important – brushing and flossing can be an important part of those values! Parents should use the new year to educate their children on the importance of brushing their teeth. If children are taught about dental care, statistics show they are more likely to continue caring for their teeth and gums in adulthood. One important tip from the ADA regarding teeth cleaning is to floss first before brushing because there is more of a chance for the fluoride from the toothpaste to get between the teeth. Be healthy and safe this new year; may 2013 be a year for health! Contact us for an appointment.